I gave a little sneak peek of this project on my Facebook a few weeks back, so clearly I was excited about finishing this one! 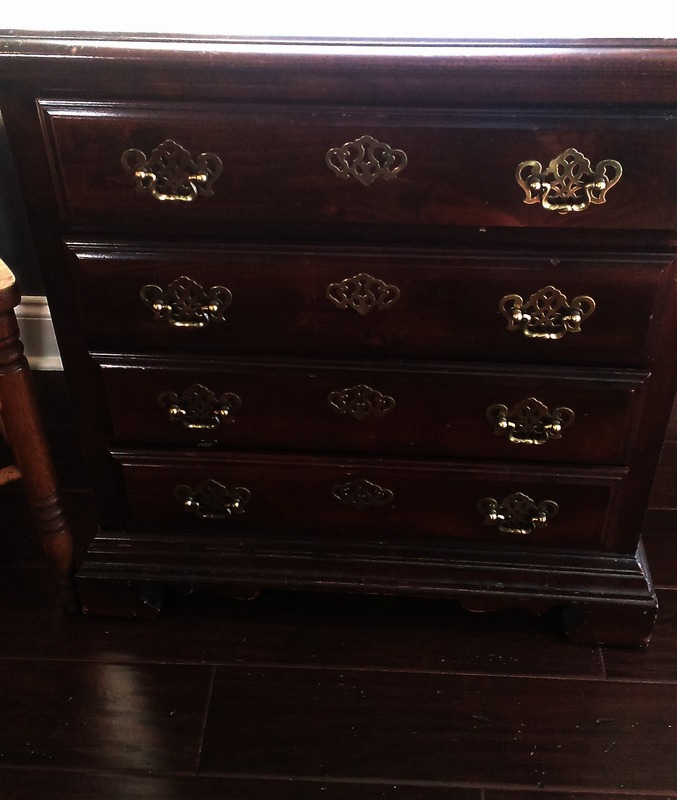 At first my plan was to strip the drawers and stain them with General Finishes Gel Stain. 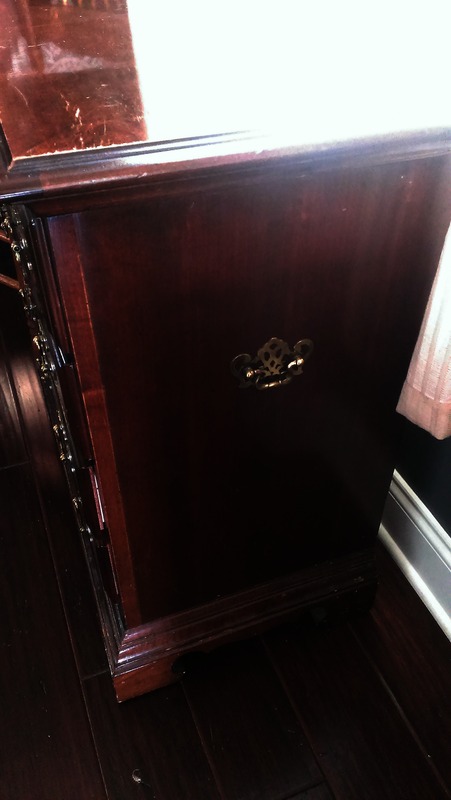 But, once I stripped the drawers, there was naturally warm, beautiful wood underneath. So i just topped the drawers off with some Danish Oil. I also decided to leave the faux key holes off of the drawers, since these bad boys were experiencing some serious hardware overload. 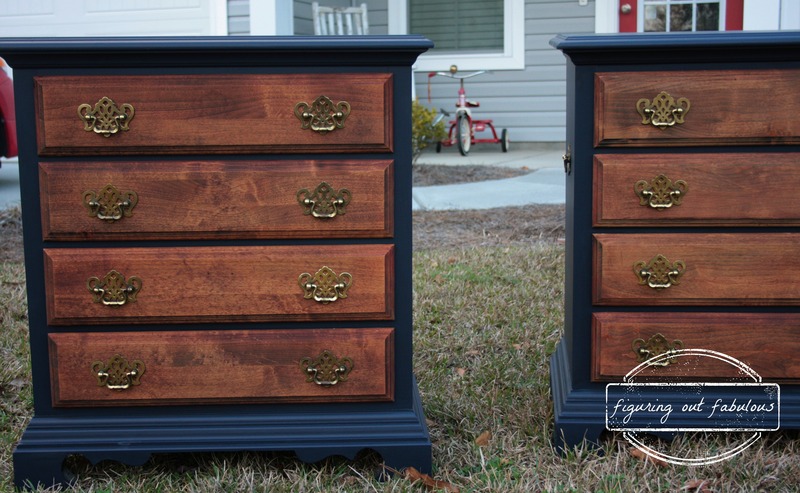 I painted the actual frame of the chest with General Finishes Coastal Blue Milk Paint- a fabulous paint in a really great color. 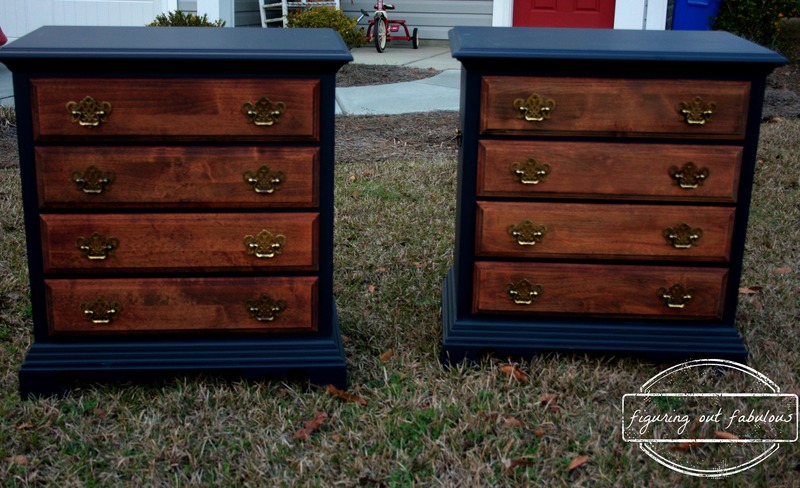 I love how the warmth of the wood pops off of the blue in the finished product! Luckily, this was a pretty straight forward project, so there isn’t actually a whole lot to write about. 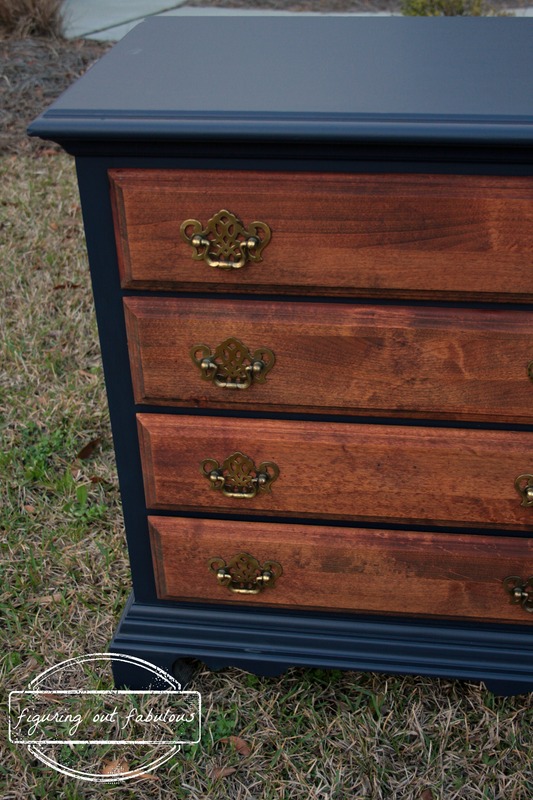 🙂 I used 3 products- GF Milk Paint, Danish Oil and Citristrip. Oh, one thing I did learn while doing this project was that watering down your paint a tinyyy bit and applying thin coats really helps cut down on visible brush strokes! I’m here!!! I wanted this when I saw a tiny piece in your previous post!!! Still want!!! Love love love it!! Nice work. And so great to see you today!